Most countries in the West do not need a tourist visa to Thailand and are allowed to stay for a period of 30 days as tourists. India falls under this category along with United States, UK, Belgium, France, Japan, New Zealand, Australia and China among others. 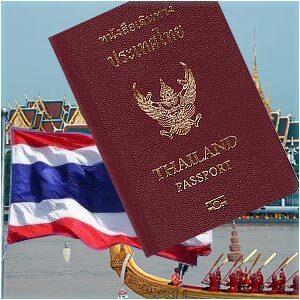 This visa is valid for 60 days as the first permit and if a tourist would like to continue touring Thailand, the Immigration would extend it by another 30 days and again for an additional 10 days in all. Further extension of the visa would depend on the nationality of the applicant. Self attested photocopy of the application form and all other originals is necessary for applicants from Chennai, India. Passport valid for not less than six months. Corporate documents including shareholders list, business registration certificates, business profile and operations, balance sheet and income tax returns. Supplementary documents have to be provided for in case the visa officer deems necessary. Applications submitted in person are processed within 48 hours. Those sent by mail will however take about a week to ten days time. The visa granted should be activated or used within three months from the date of issuance. Thailand does not seek any inoculations or vaccinations certificate unless applicants have been recently to an infected area. A Yellow Fever Certificate is required from persons who have been to one of the countries listed by the Thai consulate as from February 1991.